Michael Pachter said that Nintendo is in good shape this holiday season and that Wii and DS sales would beat out its competitors again. The financial analyst Michael Pachter would like you to think that he has his finger on pulse of the videogame industry. And this time, his finger is feeling the fact that Nintendo is looking at another successful holiday season because of evergreen titles like Mario Kart Wii and Super Mario Bros Wii as well as new releases like Kirby Epic Yarn and Donkey Kong Country Returns. Couple that with the recently announced Super Mario Bros. 25th Anniversary hardware bundle and suddenly the Wii is looking like it may beat out Microsoft and Sony yet again despite its current drop in sales. "I don't think that Nintendo's holiday season is in trouble at all," Pachter said. "The Wii has dropped from first to third, but the new models for Xbox 360 and the launch of PS3 Move had something to do with that, and it's likely only temporary. I think that Mr. Iwata is right when he says that the Wii is more of a holiday purchase, as the core audience has long been satisfied, and the more casual audience comprises the much larger portion of the addressable market. "With effective marketing, a slew of great games, and some likely support at retail, I expect the Wii to once again become the best selling console in November and December." Pachter did say that not everything is peachy for Nintendo, as DS sales are falling due to competition from Apple's handhelds and the impending release of the 3DS. "The DS remains challenged by the iPod Touch, and the new XL and regular DSi models haven't really captured anyone's imagination," he said. "Also, the impending launch of the 3DS has to have some continuing impact on sales of the existing DS models, but I'm quite certain that once the 3DS launches, handheld sales will rebound nicely." Personally, I'm holding off on buying a handheld until the 3DS comes out and I think that a lot of other gamers are thinking the same thing. 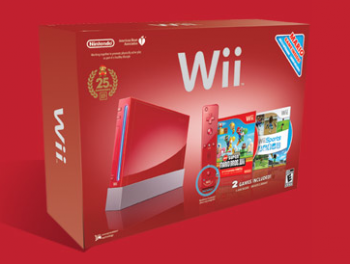 I'm not so sure that there are other people out there who just haven't bought a Wii yet and are thinking of doing so this year. On the other hand, kids grow up all the time and perhaps parents are more inclined to buy a Wii to play with their 5 year old when last year it was just too early in the kid's development. Who can say?